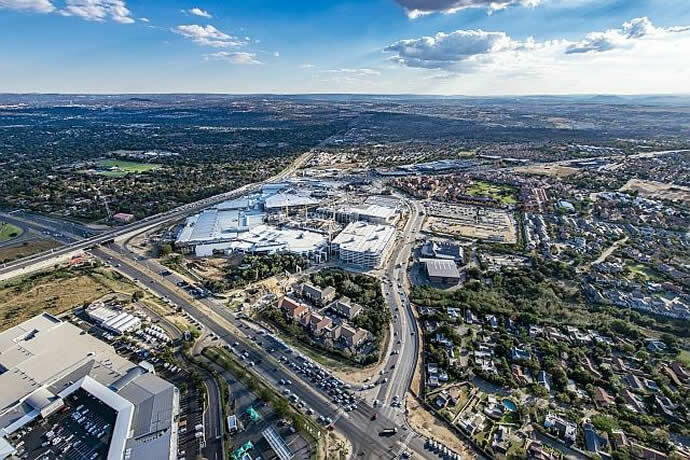 Fourways Mall is set to become the largest shopping destination in Africa pipping Pretoria's Menlyn Park, Durban’s Gateway Theatre, Sandton City and Mall of Africa. With commercial, residential and mixed-use property in demand, the broader Fourways area continues to create value and deliver opportunity for investors across sectors as it offers a fresh alternative to Gauteng’s older, more crowded nodes. Despite talk of a looming oversupply of shopping malls, commercial property investors continue to pour billions into South Africa's retail property sector. Fourways Mall would be worth about R9 billion and 178,000m² in size when it was completed, making it the largest mall on the continent. Before the additions, the mall was 64,000m². 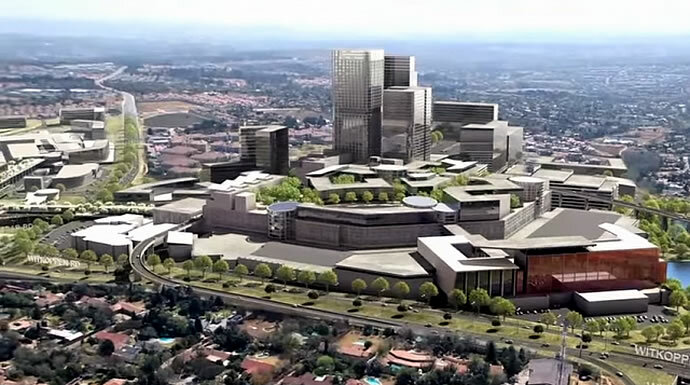 The next biggest mall would be Menlyn Park at 169,000m². It will have about 450 stores including SA’s first KidZania children’s entertainment concept. The owners, Accelerate Property Fund (JSE: APF) plan to complete the development and expansion project by April this year. Accelerate has made a good start to 2019 with investors snapping up its shares, expecting a strong reopening of the Mall. The company’s share price was R3.95 at close of trade on Wednesday, 21% up year to date, having gained momentum after it struggled in 2018. Howard Penny of Capricorn Fund Managers said the stock had begun to recover after falling 57% from 2017 highs. But he said the counter was still down 37%. Penny said it was trading at a dividend yield of more than 13%, which meant investors were receiving income and this was driving demand. The FTSE-JSE SA Listed Property index, meanwhile, is up 4.33% on a capital basis this year. It lost 31.87% not including dividends last year and 25.26% with them included. This was its worst performance in more than 20 years. Other shopping centre owners have also gained this year with Hyprop Investments up 8.9% and Resilient up 3.5%. Andrew Costa, COO of Accelerate Property Fund said investors had begun to show support for Accelerate again and that stock sales had stopped. He said that since Accelerate listed in 2013 its executive management had staked its future on the success of the Fourways node, given that its largest assets, including the flagship shopping centre, were there. The mall was forecast to be finished in September 2018, but it had faced some delays. Costa said the overhaul of an asset of its size was difficult to complete in a weak economic environment.